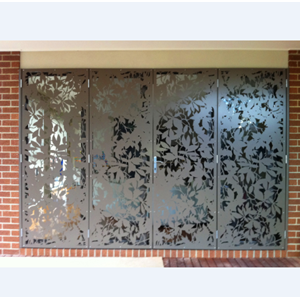 Laser cutting for doors is currently a trend because it gives the impression of luxury and not boring like metal doors in general. With the application according to design taste. So that the impression of luxury and limited / limited production because our production system is one design for one customer. So whoever your guests will definitely be impressed with the atmosphere of your home.